We are proud to offer a wide array of services to people in the Tulsa area. We offer lawn care, weed control, fertilization, Tulsa holiday lighting, and a variety of other services. 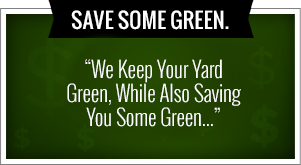 If you’re looking for lawn mowing, lawn maintenance, mulching, and much more, you can find it all at Green Leaf Lawn. We are passionate about making your lawn the very best in our entire team is completely devoted to helping people create a home that is beautiful. 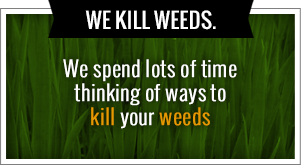 Visit us online to learn more about our company and all of the services that we offer at www.greenleafweedcontrol.com. Aside from Tulsa Christmas Lights, we also have 10 years experience in serving Tulsa when it comes to making their lawns some of the most beautiful lawns in northeastern Oklahoma. If you’re looking for someone who can maintain your lawn by landscaping and professionally, you can count on Green Leaf Lawn for the quality workmanship at affordable prices. Far too often, homeowners decor decisions been hanging Tulsa Christmas Lights and other electrical items on their properties. It’s important to you the warnings and stay safe and the holidays by allowing the professionals to make your home more beautiful than ever before. One of the hazards that can occur is when cords are left outside and exposed to rain or snow. All of the scenarios posterior serious fire risks and even if you only have a few strands of lights off some of the bushes in your front yard, you could unwillingly cause a fire. Call the professionals today and do the holidays right this year by dialing 918-640-6405 to book an appointment with Green Leaf Lawn. Many people love enjoying Tulsa Christmas Lights, but did you know that it is a dangerous thing to install Tulsa Christmas Lights on your own without the help of faith professionals. It is also one of the most stressful and frustrating parts of the holiday season. Because of this Green Leaf Lawn has taken upon themselves to include Tulsa Christmas Lights into their repertoire of services they offer to the people of Tulsa. In Oklahoma there are a wide variety of weeds that are native to the area and they can absolutely reek havoc on your lawn if they are unattended and untreated. Don’t fall victim to nasty weeds and get proactive about the health of your lawn by hiring Green Leaf Lawn. We look forward to hearing from all of our potential clients in the area and we can’t wait to beautify your lawn starting today. Your neighbors will go on and on about how great your house looks no matter what time of year it is. We offer weed control and fertilization utilizes six step program to eliminate weeds your lawn and landscape. Our system includes a herbicide application, fertilization, and a variety of other proven methods that will eliminate the unsightly weeds from your lawns turf. Christmas is getting closer day by day, and one thing that you can take care of before the season rolls around is booking your Tulsa Christmas Lights experts at Green Leaf Lawn. Everyone should be trying to outdo each other during the holiday season, and one way to gain a competitive advantage against your neighbors is by having expert Tulsa Christmas lights displays arranged by Green Leaf Lawn. We are passionate about what we do and we want to make sure that your home is more beautiful than ever before this holiday season. Fortunately for you are Christmas lights installers can help your home be more gorgeous than ever before. Despite the fact that having a beautiful Tulsa Christmas lights display is such a great idea, many people are still hesitant on whether or not to install the lights themselves or have a professional company like Green Leaf Lawn do it for them. It is much smarter and much more affordable than you probably realize to have experts take care of all of your Tulsa Christmas Lights displays. We hope that you will give us a call today at 918-640-6405 for more information about all of our services. You can also learn more about our company and what we can do for you when it comes to Tulsa lawn care, Tulsa Christmas Lights, and much more. Our website is www.greenleafweedcontrol.com and we can’t wait to see you there. Jamie Nix and Josh Mathias are two individuals that are devoted to their craft. We are completely passionate about providing the people of Tulsa with amazing services when it comes to their Christmas lights displays. We are more than just a lawn care service and we provide services in a wide variety of different sectors. We do weed control, fertilization, flower bed maintenance, weekly lawn maintenance, hedge trimming in shaping, sod installation, leaf removal, small tree removal, small shrub removal and planting, fertilization, and much more. Leaf cleanup from Green Leaf Lawn services and landscape gutter cleaning is some of the most popular things we do during the fall months. We can keep your home looking great year-round and we are just a phone call away. One of the goals of Green Leaf Lawn is to raise $100,000 for the local school districts in Tulsa, Oklahoma. Green Leaf Lawn has a passion for work and we have a passion for children’s future. Because of our passions we have tried to always exceed our customers expectations even when it comes to giving back to the community. We have a program that we call “Cutting for the Kids”. This is a program that allows us to donate five dollars to the school district of our customers choice every time we provide a new service for that said customer. This is a way for us to help keep the homes in Tulsa more beautiful than ever before and it is also a way for us to help children in our community. If you feeling being a part of our services and getting some of the very best Tulsa lawn care available, call us today at 918-640-6405 and sign up for the service of your choosing. This is a great way to keep your home beautiful and give back to the community at the same time.